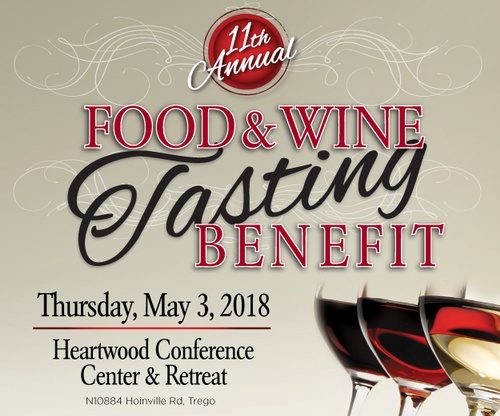 The Spooner Area Chamber of Commerce is proud to present the 11th Annual Food & Wine Tasting Benefit from 5 to 8 p.m. on Thursday, May 3rd, 2018, at the Heartwood Conference Center and Retreat . This year, the event beneficiary is the Grossen Family. Brad Grossen was recently injured at Spooner Machine when a water table exploded as he was making regular repairs. Brad sustained life-threatening injuries and was transported to the Twin Cities for hospitalization. Brad is married to Kyria Grossen and they have two boys; a 1 and 3-year-old. Brad is now on his way to recovery with the help of the hospital staff, friends, family and a great community. The original beneficiaries chosen were Spooner Railroad Park and Lakeland Family resource. They generously suggested the idea of making the Grossen Family the beneficiary and waiting until next year. Both Railroad Park and Lakeland will have tables set up about upcoming projects. The Food & Wine Tasting Benefit will feature food from local restaurants, tasting of wines, live entertainment, raffle, and auction with a portion of the proceeds benefiting the Grossen Family. 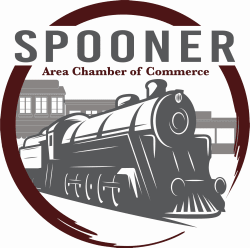 Tickets are $25 and available at the door and for pre-sale at the Spooner Chamber, and online at www.spoonerchamber.org.